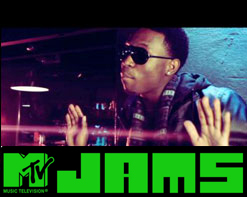 Trigg Da Kidd on MTV JAMS! Hip hop heads: Tune in to MTV Jams this Saturday at 8 am to catch rising rap star, Trigg Da Kidd’s latest music video, “What Yo Name Is”. The video’s been catching fire throughout the country since it debuted last month and MTV Jams as taken notice. Spread the word, y’all. It will be repeating on and off after that, so keep your eyes peeled!